Klay Thompson, a week after apologizing to theGolden State Warriors' fan base for his remarks about their lack of energy at Oracle Arena, delivered another subtle poke Thursday, sayingit's important for him to remain focused on his day-to-day performance over the changing perceptions of media and fans. "At the end of the day, the love from the media and fans can be fickle, just because it's so game-to-game," Thompson said. "We live in a time where it's 'What have you done for me lately?' You can't get caught up in the love right now." 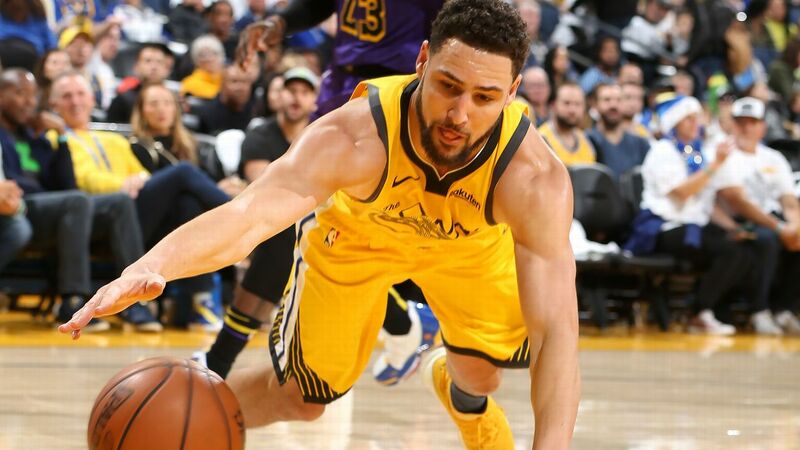 Thompson, widely hailed as one of the NBA's premier knockdown shooters, has also made a habit of toughly defending some of the league's best scorers. On Thursday, he was asked if the NBA All-Defensive Team remains a goal. "I just try to play my game," Thompson said after a shootaround. "It is nice to be talked about in a good light." Thompson's initial comments on Oracle fans' energy also came unprompted, when he was asked why the Warriors have struggled to find consistency throughout the season. Warriors coach Steve Kerr had said he could see where Thompson's initial comments on the fans were coming from. Kerr also said Thompson should be lauded for his defensive efforts. "It changes the way teams attack us," Kerr said. "I don't know how you quantify that. But for me, he is absolutely an All-Defensive Team player." Pressed Thursday on whether defense is an important facet of his game, Thompson said he coveted the NBA All-Defense nod but that the Warriors as a team play great defense. "I'm not a steals guy, but we have to have some great defenders on this team. We've been in first place for four out of five freaking years," Thompson said. "So at the end of the day we have to have some great defenders. It's not just all offense with this team. We got guys that play that side of the ball." Indeed, the Warriors' Draymond Green won the 2016 NBA Defensive Player of the Year and has garnered a place on the All-Defensive first team three times. Kevin Durant has also markedly improved his defense, ranking as high as sixth in the league in defensive rating, at 101.3 in 2016-17. In Thompson's nine seasons, official recognition has remained elusive. "It's always been a goal of mine. I pride myself on playing on both sides of the ball," Thompson said. "It would be awesome to make All-Defensive Team before it's all said and done." 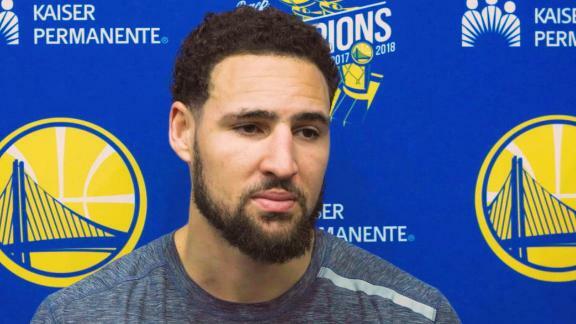 Klay Thompson says it's nice to be talked about in a positive way, but he can't get wrapped up in the short-term reactions of fans and the media.